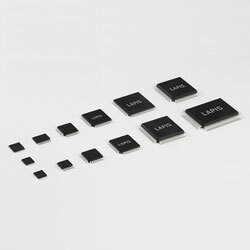 ROHM Group company LAPIS Semiconductor now offers the ML62Q1300/1500/1700 group of general-purpose MCUs featuring an original 16-bit CPU core ideal for consumer and home appliances, security devices, alarms, and small industrial equipment. MCUs used in home appliances and small industrial equipment in the rapidly growing Asian market need a broad variety of package types and program ROM capacities to swiftly satisfy the continually evolving requirements of applications that progressively add new features and functions while giving improved performance. As many of these devices are used daily, safety is an important factor, demanding that MCUs which constitute the core of home appliances include safety functions that control the system under any condition. To meet these requirements, the company‘s noise-tolerant group offers safety features that match to 13 industry-leading items (IEC60730 regulations) related to home appliances, including a self-diagnostic function for detecting internal faults. This makes it able to protect systems from unforeseen situations that transpire in MCUs used in the consumer electronics field which is becoming more complex as well as the compact industrial equipment sector that demands stable operation even under harsh conditions such as extreme noise and high temperatures.